So, this episode probably felt a bit…disjointed. Altogether, this one took about nine weeks to write. I don’t know how I can go from a two-day episode to a nine-week episode, but I was writing steadily all the way up until the wall I hit after the hedgehog (Chaos) escaped from Sonic and Amy. Over the next few days, I struggled to crank out the one very short scene immediately after. After that, nothing. Not a single word. For almost a month. I simply didn’t know what to do with it next. Several times I sat down and stared at the story, or reviewed the last episode, for an hour or more before giving up. But finally, after weeks of brainstorming, I managed to start going at about one paragraph per day of writing, and that pace finally started to increase towards the end. In the end, I actually managed to even get a few extra ideas in there which weren’t necessary for the purpose of completing the episode. But enough of that boring stuff. Thinking back to what I can remember, I find it kind of funny, but I wrote about the appearance of Lumis just a few weeks before the appearance of the character “Steve Eggman” (Morpho) in the Sonic Boom show, who looks relatively similar to what I always imagined for Lumis. Now, in case you couldn’t tell, the “Moonstone” is not a name which I had originally planned back in Crisis of Chaos. It would have been named such if I had been planning it. Originally it was simply to be called the rainbow Chaos Emerald, or simply not have a name at all, but I realized that I couldn’t be calling him “The Rainbow Chaos Emerald hedgehog” for the entire episode plus. I decided that it probably should get a real name, so I started looking into possibilities. There aren’t a lot of gemstones which legitimately contain multiple colors at once, but when I saw that moonstone could, I was immediately sold on the idea. I had already planned on it coming from space before then, so that fell into place quite nicely. Another interesting note for this episode is its use of Amy. Originally, I was going to have her play her usual “mistake character-of-the-week for Sonic” role. I even set up for this by having his fur be blue at the time she sees him. But in the end, I decided that I wanted to play off of expectations instead. Last time we saw Amy in this series, she was quite a bit younger. Last time she played an actual role in the games (not counting Forces), she wasn’t all that much older. But approximately two years have passed since the events of Sonic 06, and my proposition in this episode is that she’s finally starting to mature a bit. We saw the first hints of that in Sonic Unleashed, when she actually did some work instead of fawning over Sonic the whole time. I wanted to continue the development seen through those two games. It was satisfying, in a way, making her not-totally-useless. And besides, while I haven’t decided on a concrete relative age for Chaos yet, I want him to be a sort of father figure for Sonic, which would make him much too old for Amy. I don’t want to get creepy with this. And…there’s not a lot more I can say without spoiling the future of this arc, even though you probably already know where it’s going. -So, until next time, remember to live and learn every day! 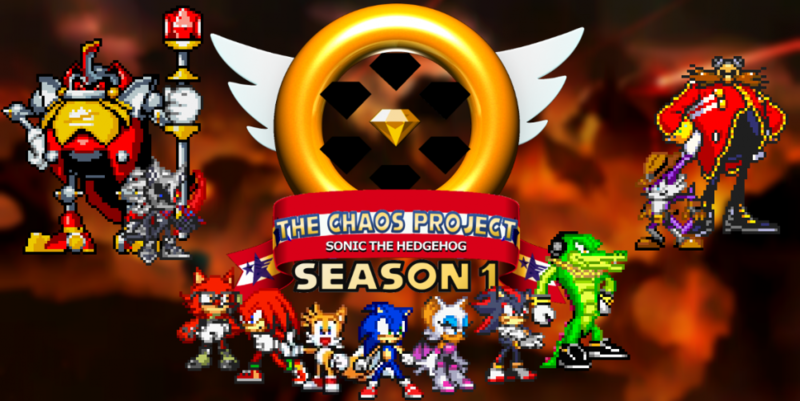 This entry was posted in Episode Review and tagged Amy Rose, Chaos the Hedgehog, Crisis of Chaos Arc, Dawn of Chaos Arc, Lumis the Shining, Sonic Boom Series, Sonic Forces, Sonic the Hedgehog, Sonic the Hedgehog (2006), Sonic Unleashed, Speed of Time Arc, The Chaos Moonstone by Chaos Project. Bookmark the permalink.